A weekly update from Boston Organics. As we approach the winter solstice, it’s easy to feel a bit gloomy about the 4pm sunsets. Fortunately, we will be able to brighten the longest night of the year with some sweet sunshine in the form of oranges, grapefruit, lemons and all their wonderful variations. 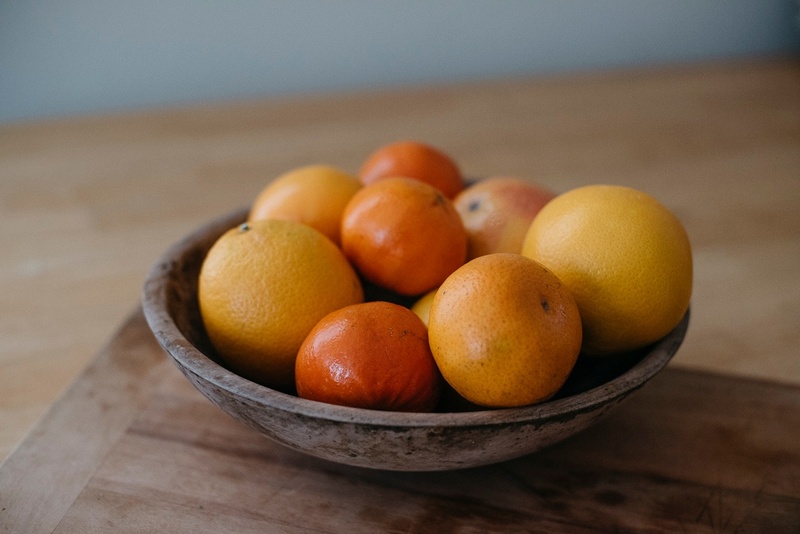 That’s right, citrus season is upon us, with bright scents and fresh flavors to bring an orange-hued smile to our faces. If you live for the sweet-tart taste of citrus, you're in luck. Appearing in boxes this week: organic grapefruit, Meyer lemons, Mandarin clemetines, navel oranges, tangelos and tangerines. Looking to stock up? You can order oranges, lemons and limes as add-ons. If you are looking for a break from all the cookies, rugelach and caramel corn but still want a sweet treat, we reccommend this refreshing recipe for Orange Sorbet with Shaved Chocolate. Some boxes this week will also include green beans, another reminder of warmer weather. Though they have long been a star of the casserole circuit, green beans also pair perfectly with bacon in this recipe for Green Bean Bacon Bundles. These hearty, savory snacks will wow any holiday guests, though you may just want to eat them all yourself! For a limited time we have two delightful seasonal flavors of Taza Chocolate available as add-ons. Spiked Eggnog discs are flavored with warming essence of rum, ideal for keeping cozy when the weather outside gets frightful (though we've been lucky so far!). 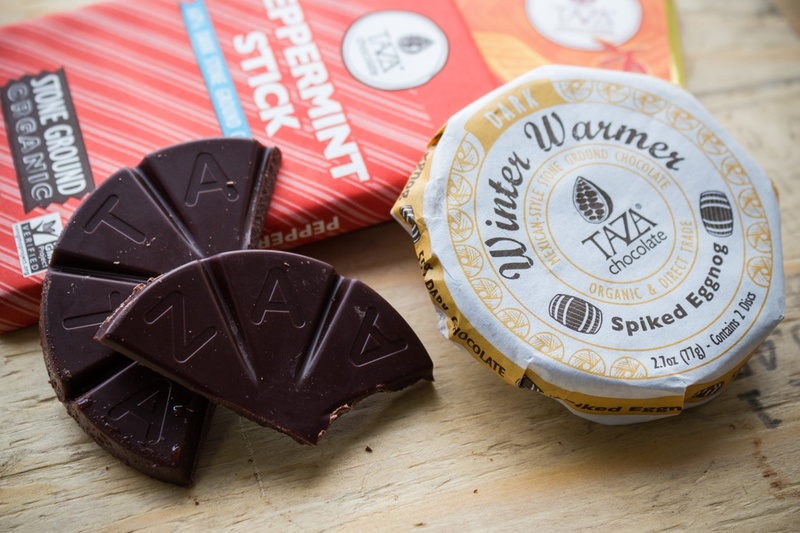 And if you're looking for a bold, grown-up version of a candy cane, look no further than Taza's Peppermint Stick chocolate bar. Full of peppermint flavor and studded with cacao nibs, this is bound to be a new holiday favorite. Treat yourself to chocolate in your next delivery. In celebration of Christmas and New Year's weeks, we we will closed on Fridays December 25th and January 1st. Please check our adjusted holiday delivery schedule and deadlines to see if your deliveries will be impacted. Enjoy your box and have a delicious week. Looking for an organic and sustainably sourced gift for the holidays? Order a gift box of assorted organic treats for your friends, coworkers or loved ones. Available in two sizes.